Straightforward, a dreamer and eclectic: the mind and soul of Paola Navone are a combination of flavours and colours of the South of the world - known, loved and lived - together with the taste and forms of the West, rich in traditions, open and continuously in movement. All of this produces her untiring curiosity in her research for matters and materials, forms and structures, for the present, the past and the future. 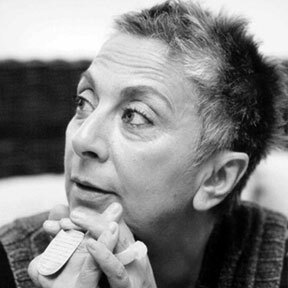 Paola Navone is an architect, a product designer, an interior decorator and art director. In 1983, she won the prestigious Osaka International Design Award. She was Designer of the Year in 2000 for the magazine Architektur & Wohen. In 2011, she won the Elle Deco International Design Awards for two project. On 2014 she has been inducted into Interior Design Magazine's prestigious Hall of Fame.